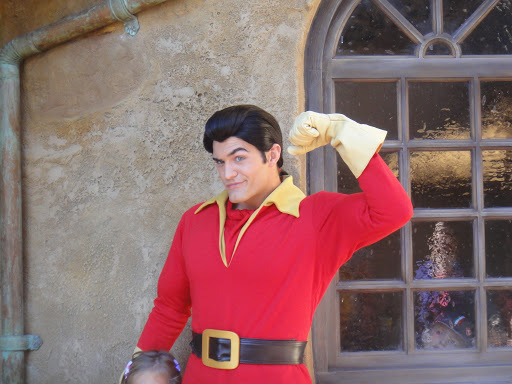 So it’s time for a Disney recap. The return and resulting week since have been chaotic, to say the least, so I haven’t had a chance to get to it until now. As for the chaos, well, I’ll get to that in a little bit. The day we arrived was sunny and warm, perfect Florida weather. Plane was on time, we got on the bus and when we arrived at the Grand Floridian, we didn’t even have to go inside. A concierge greeted us and took us to a cart where they drove us to our building and checked us in in the room! Going for the Club Level was a fantastic idea, and surprisingly, wasn’t that much different in price – we definitely got our money’s worth! Throughout the day, the main room of our building is a mini-café. There’s breakfast in the morning, snacks and lunch throughout the day, afternoon tea, happy hour, desserts, everything. The kids loved it – they’d go down and grab some food and sit at one of the tables, watch the Disney videos. This time around, we didn’t plan every second. We decided what to do when we got up, with the exception of a few dinners and lunches. Donald Duck was #1 on the hit list for the little guy – he somehow had developed an obsession for the crabby duck, and luckily we had some really awesome interactions with him throughout the trip – dinner and breakfast at Chef Mickey’s (where they sang Happy Birthday to the little guy to his amazing delight – he almost knocked Minnie over he hugged her so hard! Lol!) But Donald was the man on this trip, and we saw him in every park we went to. This was little guy’s first time being big enough to ride a lot of things and he loved Space Mountain so much he went on twice! He likes the wild roller coasters – I personally am not much for them, and definitely not any that go upside down, but I can see he’s going to freak me out for years to come as he tries scarier and scarier coasters! Anyway, we spent one day at Downtown Disney, and the last two visits, we just didn’t have time, so I was really glad to check it out. We all had a great time checking things out, and had a nice lunch. We saw Wreck-It Ralph, too. Cute movie, we all really enjoyed it. Epcot was awesome – the annual Food & Wine Festival was in full swing – we somehow manage to hit that every time we go. We joked about eating our way around the world – lamb chops, egg rolls and pot stickers, ravioli, hot dogs & kraut, Swedish meatballs – you name it! The kids had a blast getting the snacks, and finding a corner to eat it while we watched the street performers of the local country doing their thing in the courtyards. And we finally, after ten years, we met Princess Aurora – DD’s all-time favorite. We actually went and waited for her to come out, thanks to the awesome lady who let us sneak in on the Aladdin and Princess Jasmine line after it was closed. She was the best and we had a blast hanging out with her as the line moved along. The one thing I do recall from my first trip in 1976, was that back then, the characters just walked around randomly. While waiting in line and spending a few minutes with the characters was awesome, the very spontaneous moment of seeing them just hanging around the park was truly magical. Been a long time since they did that. Is he perfect or what? We tried a LeFou’s Brew at Gaston’s Tavern, and it was actually really good. Creamy and citrusy, but with a hint of carbonation. We got to see the Little Mermaid ride, and Belle’s Village, so it was literally the best day. Lunch was delicious – I’ve yet to eat anything at Disney that wasn’t. 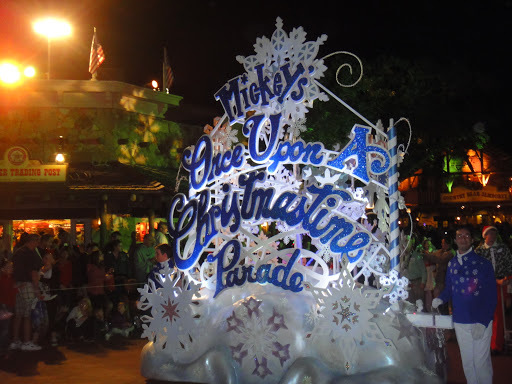 We relaxed and packed that afternoon, since we had tickets to Mickey’s Very Merry Christmas Party, complete with parade and all sorts of special events. Snow on Main Street, coca and cookies, etc. We arrived, got our wristbands, which they check just about everywhere, and h it a few rides. Then waited for the parade. As expected, it was amazing – every character, film, etc. was represented and done really well. The dancers and performers come right up to the kids and really get them involved. I have to say, as we shared our turkey leg and watched the parade, no one does it better than Disney. 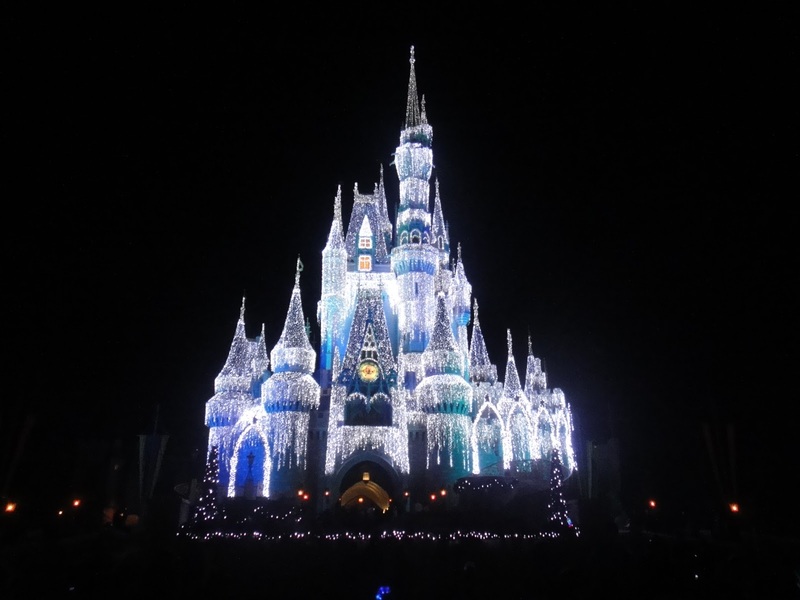 And isn’t the castle just beautiful? The holiday decor was incredible. But I’m not surprised – it is Disney after all! But that was where it all ended. Shortly after the parade, DD is not feeling well. Her stomach. And of course, it’s not long before she’s in the throes of whatever this is. Thank you to the ladies in First Aid who helped us out – it was a rough night, but might have been worse if we hadn’t found you! Poor thing was up all night and halfway through, DH is not feeling well. And they had the same thing for lunch, so now I’m worried about food poisoning. But when the little guy woke up the next morning in similar shape, I knew it was worse. We’d gotten a bug. At least it was the end of the trip, but now we had to go to the airport and fly home! Poor little guy was in the throes of it in the airport, the plane, etc. At least, everything was on time, and we made it home early in the day. Where they all proceeded to pass out. By that night, they were starting to feel a little better, so I made them soup, ginger ale and the whole bit. By the next afternoon, I was down for the count, and far worse than the rest of them had been. Figures. At least my office happened to be closed on Monday, I was still in sad shape as I dropped the kids at school, after missing two weeks (!!!). To top it all off, the day job has been incredibly busy, it’s budget season, so there’s been no time to breathe and because of our trip, I couldn’t take any additional time off to cook the annual two-day sauce for little guy’s birthday. He was quite happy with pizza though, and next year, we’ll get back to normal. I hope. Is there such a thing?